I cut out the eucalyptus wreath with scissors and used other parts from the patterned paper for the background panel. I adhered the panel to the front of a top-folded card base and the wreath on top of vellum, then to the card front. In this way, the background pattern doesn’t pop that much and it looks softer. It also adds dimension to the project. I love it! The German birthday sentiment was die cut using the Zum Geburtstag word die. 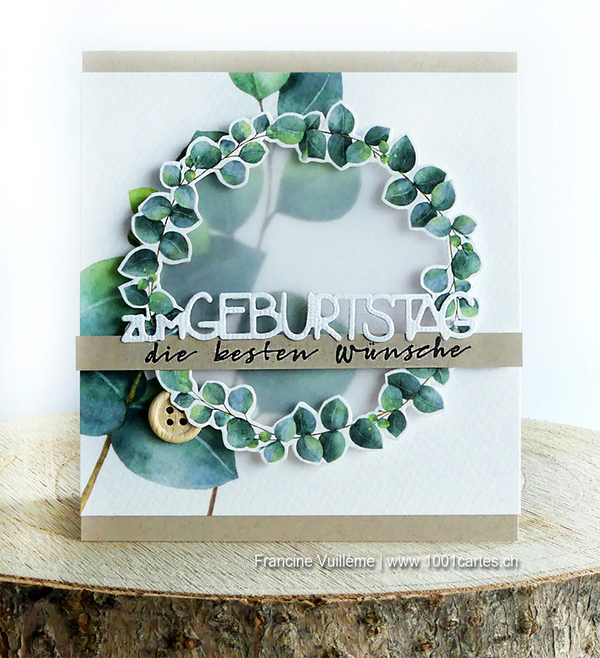 The stamped sentiment (die besten Wünsche | best wishes) is from the Mini & Maxi stamp set. There is a special birthday week at Charlie & Paulchen with many discounts and offers (you must be a NL subscriber to get these offers). Scubscribe to the newsletter and don't miss out on the latest news, exclusive offers, promotions and special events! Gorgeous card, Francine! What a clever way to use your patterned papers and I love the vellum panel inside the wreath! Once again, you have really 'Wow'd' us with your talents! This is gorgeous! 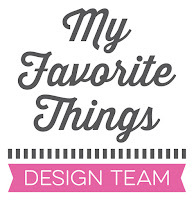 I just ordered the stamp and paper from Charlie and Paulchen. I just wish they had a matching die. May I ask how you colored the wreath - medium and color choices? It's truly the best coloring example I've ever seen. @Linda on th Prairie: I didn't color the wreath. The wreath is on the design paper and I just cut it out with scissors.